ONCHAN, Isle of Man – August 16, 2018 – More than €21 million is guaranteed at PokerStars shared liquidity during the two and a half weeks of Southern Europe’s biggest ever tournament series, the Galactic Series. The new series will consist of 186 events and boasts a €15 million guarantee, equalling the combined guarantees of both the TRIO and the SCOOP series held earlier this year. The brand-new series which runs from August 26-September 13, kicks off with the €50 Warm UP Special Edition with a €175,000 guarantee and on September 9 will host the biggest Main Event guarantee ever for players in Spain, France and Portugal. • August 26 at 20:00 CET: €5 NLHE Rebuy with €50,000 guaranteed. • August 26, September 2 and 9 at 20:00 CET: €10 Classico PKO with €150,000 guaranteed. • August 26-September 5: The €20 Hercules Flighted Event with €300,000 guaranteed. Players can get in on the action by buying in directly or by winning one of 400 Main Event tickets, each worth €250, which are being given away as part of a €100,000 Main Event Depositor Freeroll. To enter the freeroll players must make a €50 deposit into their Stars Account using the code ‘GALACTIC’. 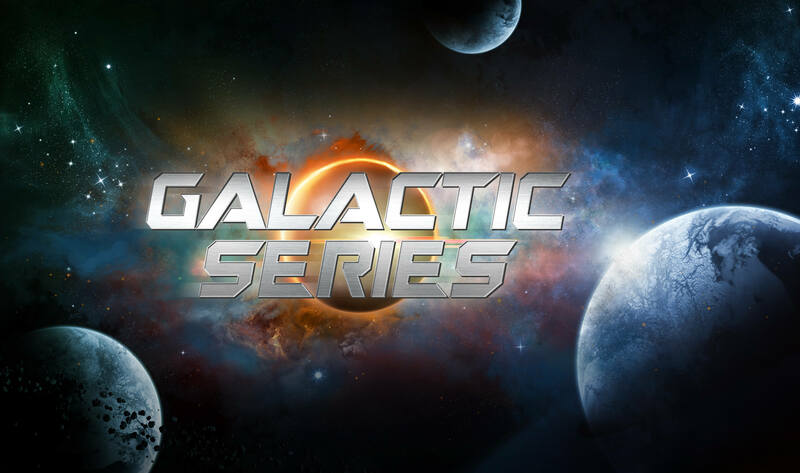 There will also be a variety of opportunities for players to be part of the series at a fraction of the cost, with a total of over €200,000 worth of Galactic Series tickets being given away from August 27-September 13, including the Main Event Depositor Freeroll, Galactic Daily Challenge and Second Chance Freerolls. MTT Satellites which started on August 13, will run daily from just €0.50. Also, running daily, from August 20, are €2.50 and €12.50 Spin & Go’s, which will award €50, €100 and €250 tickets for the series as well as cash prizes, up to €75. The Stars Group owns or licenses gaming and related consumer businesses and brands, including PokerStars, PokerStars Casino, BetStars, Full Tilt, Sky Bet, Sky Vegas, Sky Casino, Sky Bingo, and Sky Poker, as well as live poker tour and event brands, including the PokerStars Players No Limit Hold’em Championship, European Poker Tour, PokerStars Caribbean Adventure, Latin American Poker Tour, Asia Pacific Poker Tour, PokerStars Festival and PokerStars MEGASTACK. The Stars Group is one of the world’s most licensed online gaming operators with its subsidiaries collectively holding licenses or approvals in 19 jurisdictions throughout the world, including in Europe, Australia, and the Americas.